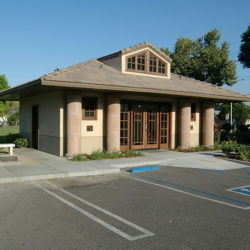 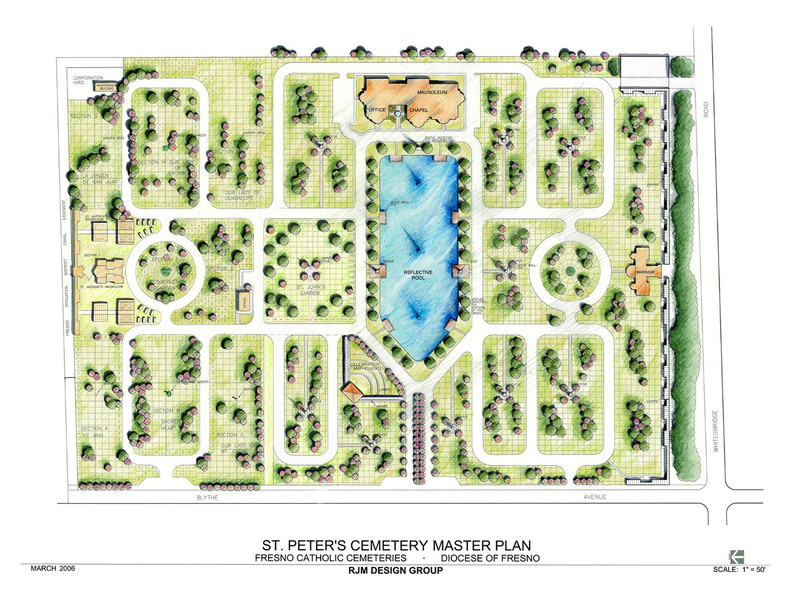 RJM Design Group provided cemetery master planning and design documents and served as Prime Consultant on this large cemetery project for the Diocese of Fresno. 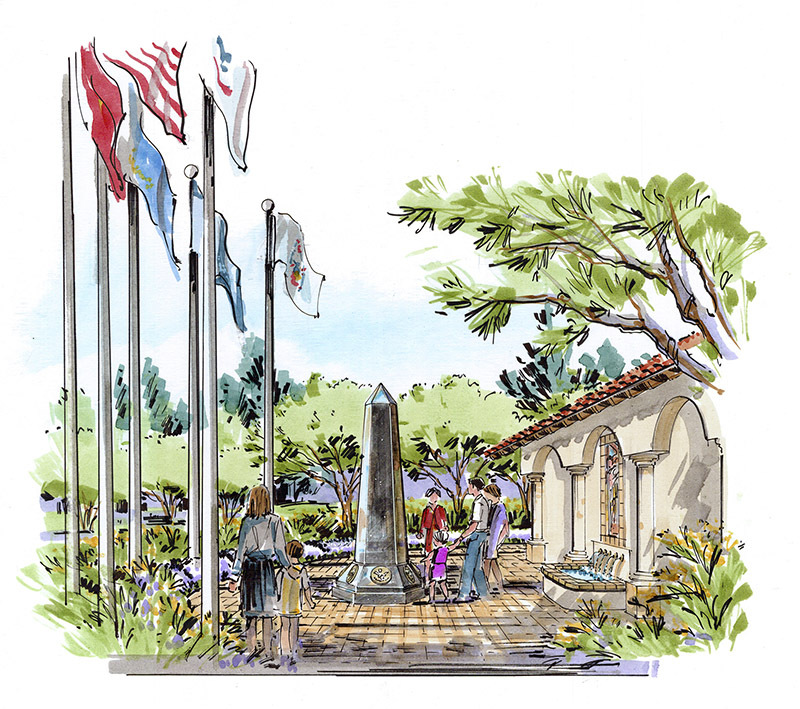 The project included a large veteran’s memorial, an outdoor committal amphitheater for Funeral Mass and monthly worship events, a large reflecting pond with the Stations of the Cross and many special areas for honoring deceased family members in a religious setting. 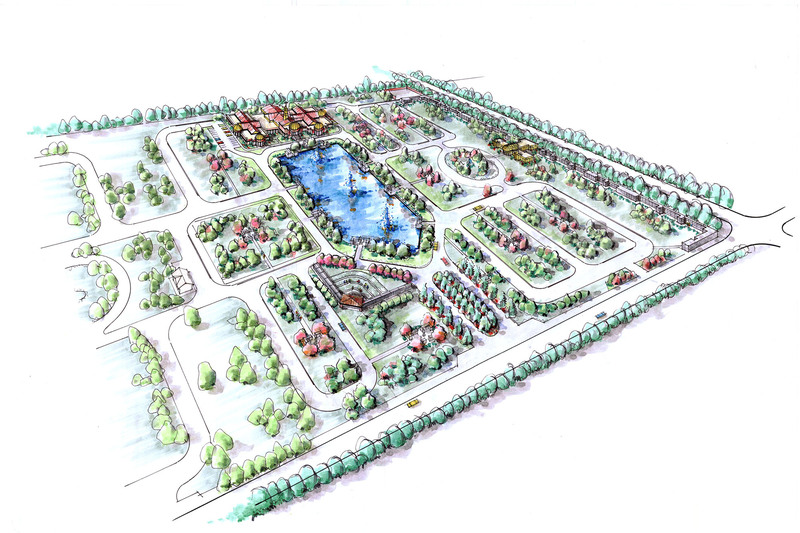 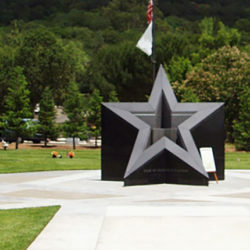 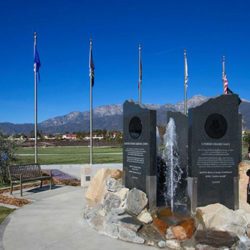 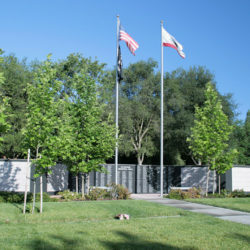 The 60-acre project is scheduled to begin construction in 2013 for the first phase, which will include the Veterans Memorial, Amphitheater, and the initial installation of the mausolea and niche walls that form the amphitheater. 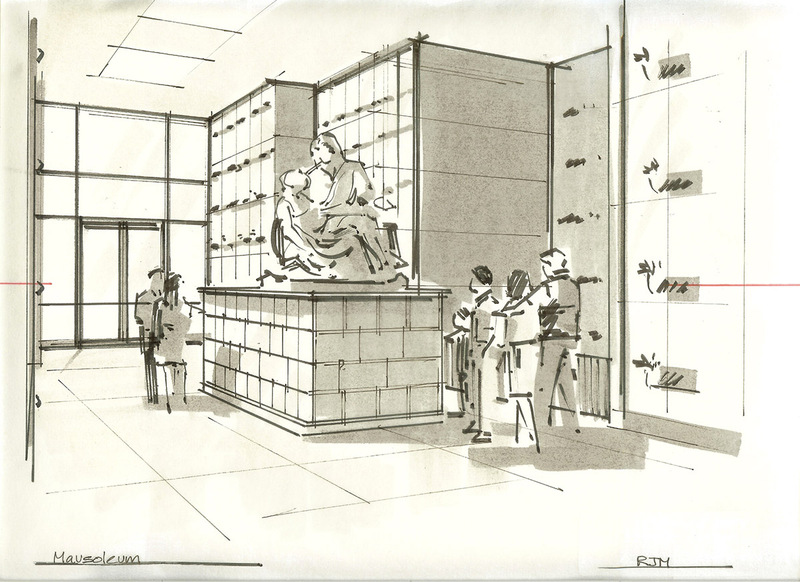 Future phases include moving all administration services into the main building, the focal point of which will be a large chapel on axis with the centerline of the reflecting pool.